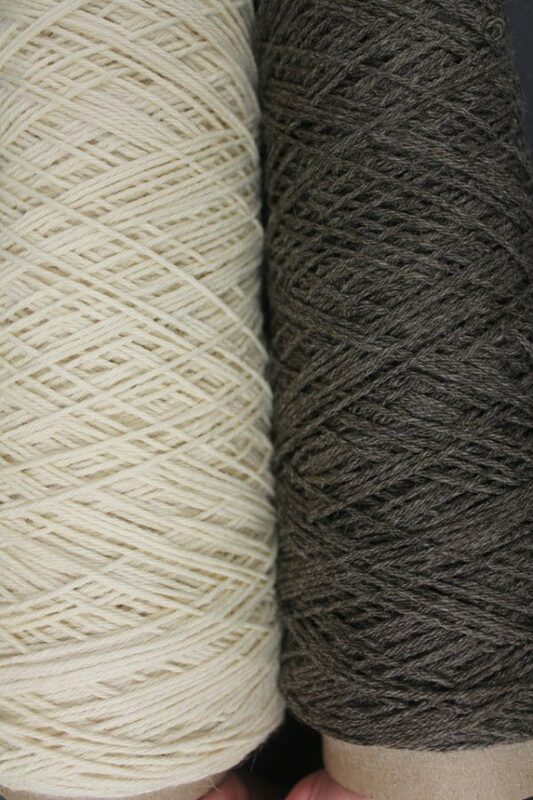 Worsted spun rug warp yarn is available in two undyed colors, natural and grey and in 3 weights. 2 ply (approx. 1008 yds/lb); 3 ply (approx. 673 yds/lb) and 4 ply (approx. 504 yds/lb) on 1 lb. cones only.